The most common, hackable, guessable, unsecure passwords and why you should never use them! You need to review your passwords now. Many of us are lazy about our passwords. We are lazy, we are complacent and we are highly likely to be hacked. This does not mean that some spotty faced genius teenager wearing an ‘anonymous’ mask is hiding in a dimly lit cellar, spending all his days cracking codes just to get into your online Wish shopping account or your secret Tinder profile. This scenario is possible but the reality is actually a lot more sinister than that! There is now computer software designed specifically to decipher and publicise your precious passwords. A computer that never tires of trying all the computations of birthday dates and obvious words to find the secret key to your life. A weak and obvious password can leave your emails, bank details and personal information at the mercy of unscrupulous hackers. Quite apart from the computerised password thief, there is a very real danger that using the same email and password for every account, from Pinterest to online banking is giving your details away. Low security sites with access to your details may inadvertently be receiving the very same details needed for more secure information. You need a unique password for each account you log into. If this sounds like too much trouble, you need to seriously weigh the effort up against the horrors of identity theft. Despite the risks, the vast majority of people do not give a second thought to their password choices. It appears as if the main criteria for choosing is ease of remembering and (rather pathetically) the proximity of the tiles on the keyboard. Sequential keyboard action, such as 12345, is an oft chosen requirement in the most hackable passwords. 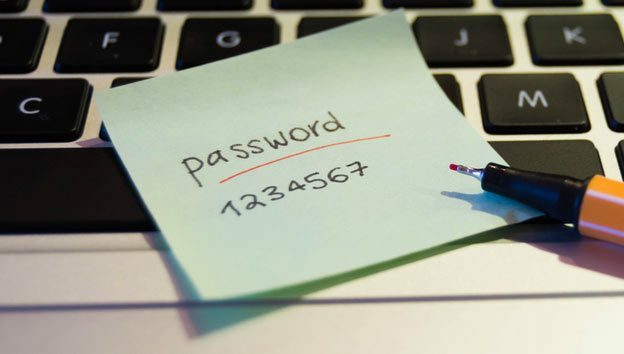 Let’s take a look at the most popular, and therefore most obviously breached passwords in the world and take a salutary lesson in online security. Boom! The most used password in the world. Don’t start using it unless you want to lose your privacy. A computer programme will crack this baby instantly, so be wise. Try something a little smarter. But you need to be very smart. According to the site, www.howsecureismypassword.net. The seemingly respectable password, ‘orpheus37!’ Will take an estimated one month for any self-respecting hacking software to decipher. However if you get really creative, and chose something like ‘pigswilltime2078’ you take the code cracking time up to an estimated 6 million years. The second most chosen password in the world is ‘password’. Duh! I have no doubt that, like some worn out oft repeated joke, using ‘password’ as a password is thought of as the height of irony and humour by some. Computers don’t get irony. Hackers don’t get humour. It’s a no brainer people. Choose something more exotic, more cryptic and less likely to cause you grief. Check out the strength of your choice of passwords at this site. www.passwordmeter.com. The ironically hilarious, ‘password’ password gets an 8% score and is very weak while ‘ExplodingSpuds2’ is an 83% strong choice. For the most unimaginative amongst us, a quick finger dance across the number tiles on the keyboard, gives the iconic ‘12345678’ password. Yeah, you guessed it! Another gift to hackers , waiting to help themselves to bank details and a wealth of private information. If you are creatively challenged and cannot think of any alternatives, then finger dance along to www.random.org/passwords/ . This site generates some tough password computations, such as pQZXXJAg and R9cPZkVh. Totally safe and secure. Now your only problem is remembering them! The seventh most used password in the world is ‘Letmein’. And the answer is Yes! We will let you in! In fact, we will let everyone in. What the password ‘Letmein’ does though, is introduce us to the ‘passphrase’ rather than the password. An ideal way of remembering good strong codes, when passwords fail and a good way to foil the hackers. 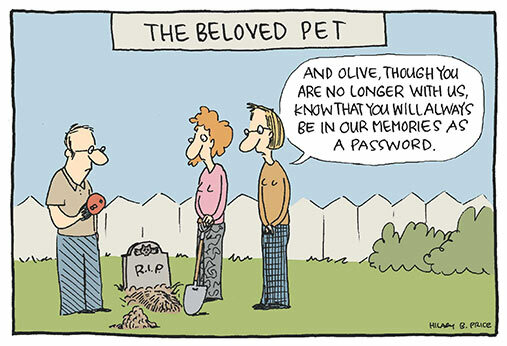 its a clever way of thinking of a much longer password. Dictionary words and names are not restricted, and you can be 15 characters long. So a line from a poem, quote from a book, song lyric or a movie are all ideal. Number Eight in the most used passwords, is another obvious numerical sequence, Low security, high risk. Low creativity, high chance of being breached online! You know what to do! The password ‘football’ is number nine in password popularity and while we don’t know the gender balance for usage, it is inconsequential as it is easily hacked for and by everyone. It is never a good idea to put anything personal in your password. This includes hobbies, place names, your obsession with teapots or your pet names. It is never wise to use birthday years as there are only 2000 numbers computations for the computer software to play with and security will soon be breached. “Nothing too obvious” is a good maxim and possibly a good password if you throw in a few ampersands and exclamation marks to fool the hacking software! Oh we are a romantic bunch! We have made ‘iloveyou’ the tenth most hackable, guessable and accessible password in the world. Time for some self-love. Love your own privacy. Love your own security, Review your passwords regularly. Choose high strength passwords and pass phrases. Have a unique password for each account. Stay safe and use some creative mischief to invent user friendly passwords that keep your personal log in’s more secure. The best thing about an Irish Christmas is that special ‘down time’ after the Big Day. Those easy days when all the hype is over and the turkey bones are picked clean. Unlike most of mainland Europe and our crazy American cousins, we don’t rush out to the Boxing Day Sales or hurry immediately to our tinselled offices to start working again. No, we wisely, take some time out to reflect on the darkest days of the year, the comfort of a cosy duvet and who ate all the purple Quality Streets. These are the wonderful days you dream of as you battle through the supermarket on Christmas Eve. These are the days you long for as you watching arguments over the last available selection boxes and avoid pitched battles for the lone battered Yule Log on the shelf. The days that you plan to do nothing on. And then, nothing stretches before you and the days seem longer than a year on planet Venus. A day on Venus is actually 20 times longer than a day on earth- just one of the sad facts you can acquaint yourself with on those dead days after Christmas. You can avail of our great ideas of what to do on those ‘down days’ in the run up to the New Year. The quiet days when all the good biscuits have been scoffed from the box and you just cannot face another mince pie, is the perfect time to immerse yourself in an epic box set. There are dozens on offer at Netflix, Amazon Prime, Sky and even YouTube, to suit all tastes. Watching episodes back to back is the only way to go and these are the ideal days to get stuck in. Why not borrow the entire Game of Thrones box sets from that one nerdy friend and enter a world of pure fantasy? Tax returns and the purchasing of toilet rolls and cat food will be relegated to where those tasks ultimately belong – mundane life. The big hit games of this season are Red Dead Redemption 2 and Call of Duty Black Ops 4. Hours will pass by like minutes. Plates and cups will pile up at your feet. Toddlers will grow up, leave home and get great jobs as you while away the hours at the controller with these games. Mix it up with a little Fifa or Assassins Creed Odyssey and before you know it, it will be January and time to shave off that Robinson Crusoe beard and head back to work. Snuggle up with a good book. Find the inside story on the Trump White House with a selection of books themed on the most fictional real President ever. From ‘Fire and Fury’ to ‘God Save Texas: A Journey into the Soul of the Lone Star State’, you can frighten the life out of yourself in the comfort of your own living room. If you want to be transported to other worlds, why not delve into, Tara Weldovers acclaimed coming of age book, ‘Educated’, or laugh out loud at Maeve Higgins ‘Maeve in America: Essays by a Girl from Somewhere Else’. Better still, tackle some of those unread books that you have been meaning to read all year. 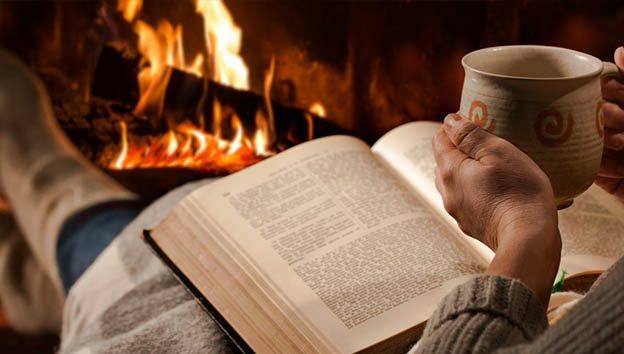 A good book, a roaring fire and a nice cup of tea. Bliss. In the distant past when Lemon’s Season’s Greetings were the only sweets in town and the Afternoon Tea biscuits tin had no competition from the likes of the chocolate covered Mikado (the decadence), people set about visiting each other. With no mobile phones or manners, they just arrived at each other’s houses. Sometimes passing each other on the way. They ate each other’s food and drank tea and talked about whoever was not there. 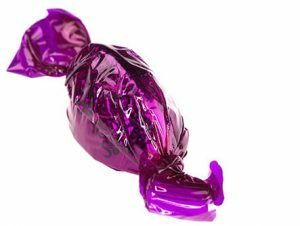 It’s a fine tradition to revive for these empty days after the main Christmas shin-dig. Of course, you will probably be interrupting the box set watching, the computer games and the quiet reading, but sure don’t let that deter you. Go on, surprise your unsuspecting neighbours and relations with an after Christmas visit. The after Christmas lull is also the optimum time to tackle all those job that you never get to. The oven cleaning. The gutters on the house. Matching all those random socks. It’s the ideal time for a good computer clean up, or to file your photographs and sew a button on to coats. Of course it is also a great time for procrastination and while you might intend to do all those things, there are more than enough distractions to keep you away from them. A classic movie showing on TV and the chocolate Mikado’s just won’t finish themselves, so you might just want to sit back and doze in after Christmas smugness and put the list of jobs on the resolution list. Those nice sleepy days after the Christmas mayhem are yours to really enjoy. Walk the hills if you feel inclined. Rest, eat and spend time with friends. Have a holly jolly Christmas, but treasure those precious days afterwards and make the most of your well-earned down time. Happy New Year from all of us at Dmac Media ! 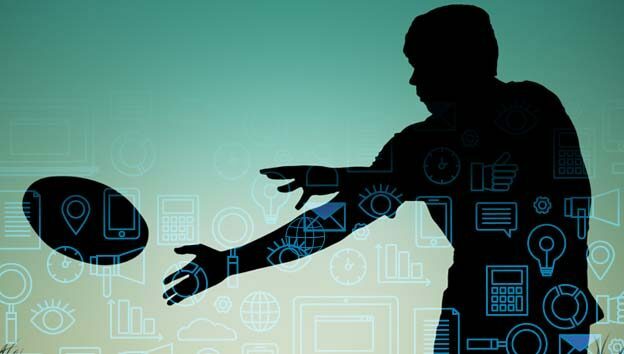 What Rugby taught me about Digital Marketing! As disciplines go, you can be forgiven for believing there is very little in common between the sport of rugby and digital marketing in 2018. After all what has 15 brutish men battling over the forlorn oval ball got to with driving online sales and enquiries anyway? Well from my experience, more than you might think. 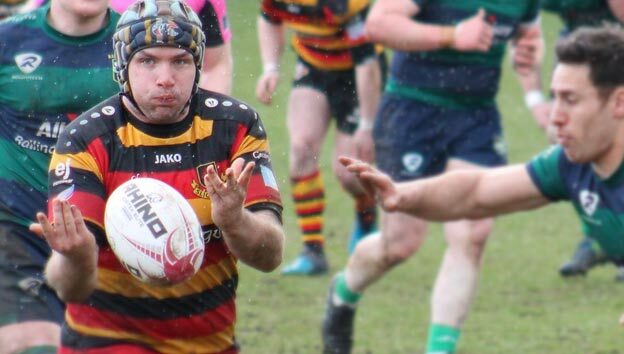 Having first started playing the humble game of rugby in Summerhill College at 12 years of age, it fast became my game of choice throughout my teens and early 20s, even going so far as to specialise in the game through a college degree course. My love for the sport stemmed from the unrivalled camaraderie and willingness to win among all team members, and, down through the years we shared many victories (and losses) together making many lifetime friends and memories. What has all this got to do with Digital Marketing I hear you ask? Modern digital marketing practice is a multifaceted activity employing a range of different (yet complementary) tools. Rugby teams too are multifaceted, with individual team units such as the forward and backs have individual team goals & KPI’s. Forwards for instance are charged with winning possession of the ball at set pieces such as scrums and lineouts. In digital marketing, we employ two search engine tactics (search engine optimisation & search engine marketing) in order to win website traffic. Speaking about set pieces, rugby fraternities often through the phrase “getting clean ball” around when it comes to winning possession. In many ways, this describes digital marketing optimisation processes designed to improve the calibre of website visitors. But the similarities don’t end there. Most readers will be familiar with a few select players on the Irish Rugby Team. Through no fault of your own, readers will be far more familiar with players such as Rob Kearney, Conor Murray & Johnny Sexton, simply because the media amplifies Ireland’s success on the back of these players. Let’s take a look at Ireland’s world renowned victory against France in the 2018 Six Nations Championship where Johnny Sexton landed an 82nd minute drop goal, clinching victory at the death. In watching the video below, look at the work rate of Jack McGrath (#17) and Devin Toner (#19) in the lead up to the kick. Did you notice the extraordinary amount of work Jack & Devin got through to help Johnny get in position over 41 phases of play? Without their work and the work of 12 other players, Ireland wouldn’t have won the game and gone on to win the Six Nations Grand Slam. However, Johnny Sexton reaped the plaudits for the victory. A similar story happens in Digital Marketing. Often the plaudits for a sale or enquiry are attributed to a single channel, when in actual fact that is not the case. For instance, a website visitor may have read your recent blog post, visited your Facebook page, and opened your email marketing newsletter before taking the Google and clicking on your pay per click ad. Each channel had a role to play in gaining the conversion, however the kudos is often attributed to the final channel that gained the success. In reality it is a team effort with each and every player contributing to the overall goal in their own, individual way. Savvy digital marketers understand each channel has a role to play and attributes success to each and every channel employed. Rugby is also a highly analysed activity. Individual performances, unit performances, team performances and even the opposition are reflected upon by the coaching team following victories and losses. Every on pitch decision carefully analysed in order to achieve better outcomes in future. In digital marketing, we employ the very same strategic thinking and analysis. Every outcome is an opportunity to improve. Whether it’s a sales funnel update, acquisition strategy adjustment or even succinct tweak to a call to action, every step should be analysed and improved upon to afford greater return on investment in the future. So there you have it. Do rugby players make the best digital marketers? Who knows! But what we do know is there is a variety of similarities that can be drawn between the digital marketing practice and the game of rugby. Why are you not responsive?